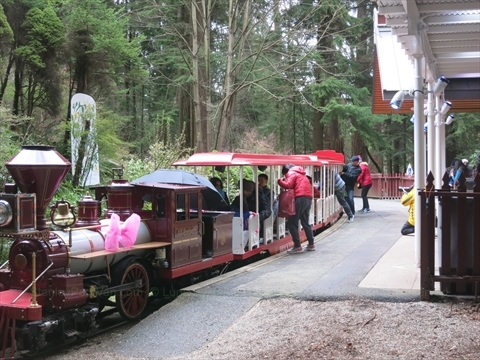 There is a miniature train railway ride in Stanley Park that operates at various times during the year (Easter, spring/summer, Halloween, and Christmas). 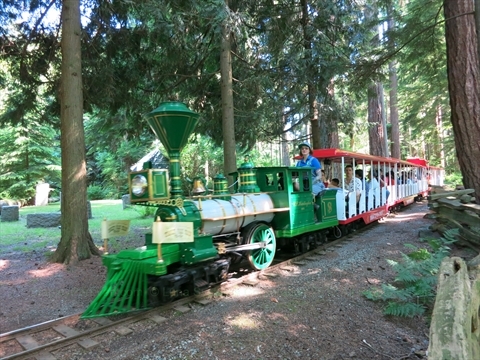 The Stanley Park miniature train ride operates out of an area called Stanley Park Junction that has a train station, ticket booth, and other facilities. 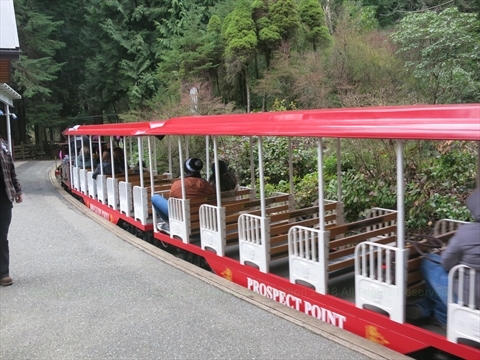 The miniature train goes on a scenic 15 minute, 2 kilometre ride which includes a tunnel and trestle over water. 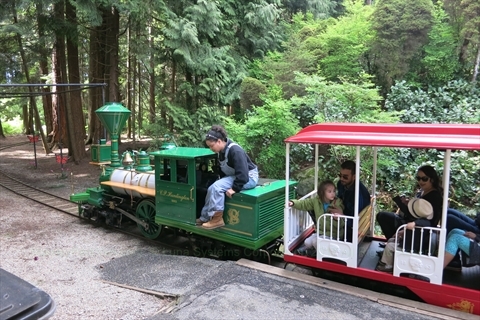 The train accomodates both children and adults. 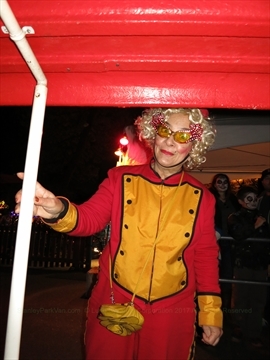 Additionally, there is a special train car to carry people who are in wheelchairs so everyone can enjoy the train ride! Note that in 2019 the train will NOT run during Family Day in February. For each season, there are season-specific decorations along the way, e.g. 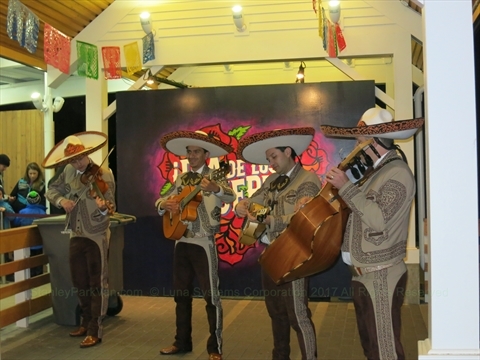 an easter theme during March, Christmas theme in December, scary displays during Halloween. This is a paid attraction. You need to buy tickets to ride the train. There are usually other free/paid activities that take place at Stanley Park Junction that you can also do before/after your train ride. 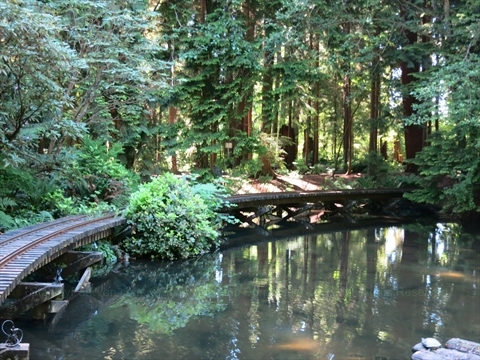 It is free to enter the Stanley Park Junction area. There are 4 actual miniature trains which operate. One of which is a replica of the engine that was the first to cross Canada! The real (full size) engine resides in the Roundhouse in Yaletown, Vancouver! 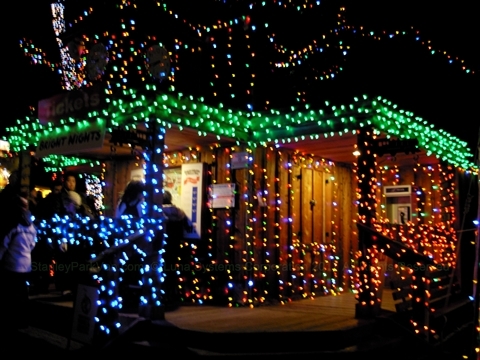 There are washrooms a short distance just outside of the Stanley Park Junction exit near the ticket booth. 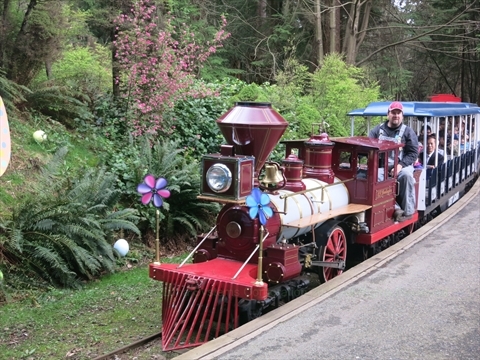 During the time before and during Easter weekend, the miniature train operates with an Easter theme. For 2019, the Easter Train will operate from April 18-22. There is also an associated Easter Fair at the Stanley Park Junction which includes many activities for children including an easter egg hunt and carnival games. 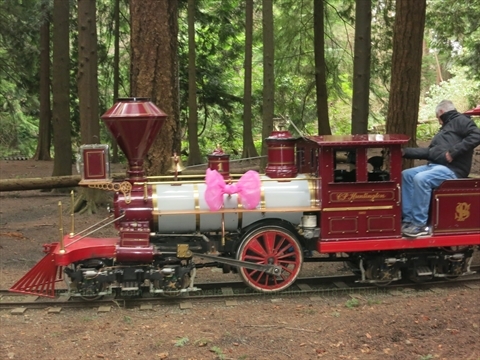 More Information about Easter Train..
For 2019, the summer Urban Forest Minature Train ride will operate from June 29, 2019 to September 2, 2019 daily from 10am to 5pm. 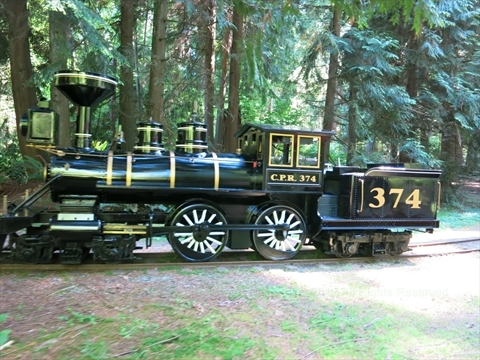 The summer train used to operate with a First Nations theme, but this stopped in 2015. 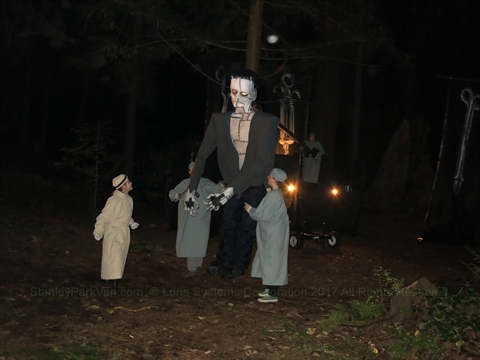 More Information about Spring/Summer Train..
During the weeks prior to and including Halloween, the miniature train operates with a Halloween theme! 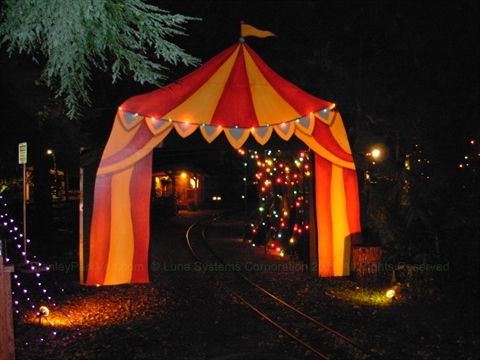 More Information about Halloween Train..
During the Christmas and New Years season the miniature train operates with a Christmas theme! 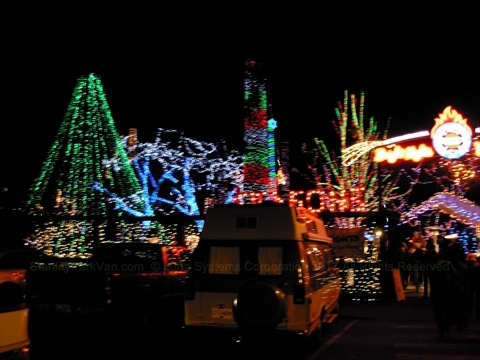 There are millions of Christmas lights strung up by the firefighters for charity! 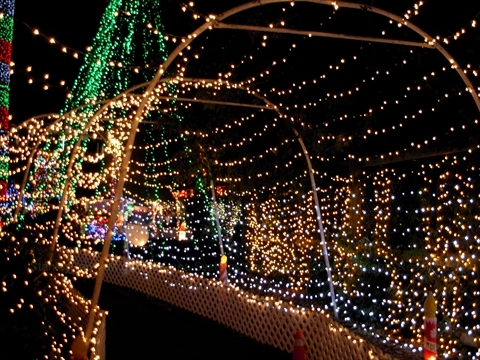 More Information about Bright Nights Christmas Train..
Where is the Miniature Train ride in Stanley Park? 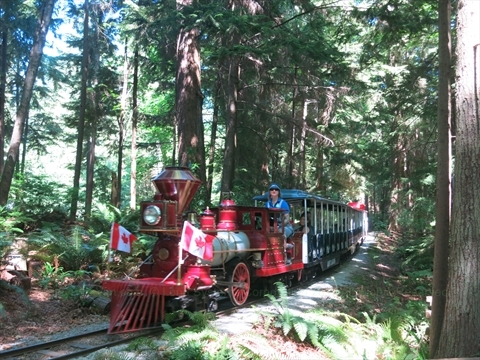 The Miniature Train is located in at the Stanley Park Junction up Pipeline Road next to the Bus Loop. Across the street is the Air Force Garden of Rembrance and Wishing Well. Where Can I Park for the Miniature Train in Stanley Park? Can I Get to the Miniature Train in Stanley Park by Bus? Yes, you can take the #19 Stanley Park Bus to get to the Stanley Park Bus Loop which is located very close to Stanley Park Junction.